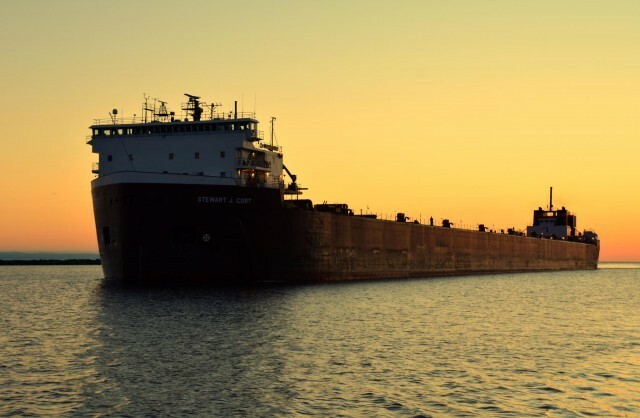 M/V Stewart J. Cort was the first 1000-foot vessel on the Great Lakes when she entered service for Bethlehem Steel Corporation in 1972. 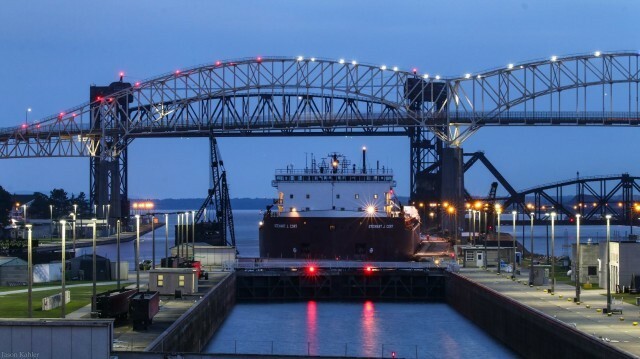 Her bow and stern sections, built by Ingalls Shipbuilding, Pascagoula, Mississippi, were joined together and called “Stubby” for the trip to the Great Lakes. At Erie Marine, Erie, Pennsylvania, “Stubby” was cut apart and joined with the midbody built there. 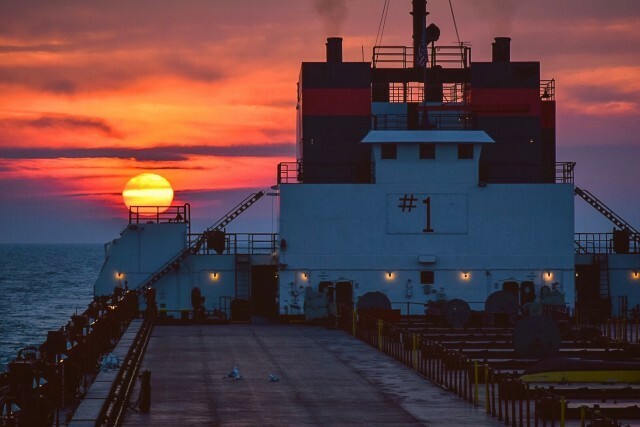 The Cort is the only 1000-footer with pilot house forward. All crew accommodations are also forward. Her self-unloading system’s shuttle boom is contained within the after cabin structure. Interlake Leasing III secured the bareboat charter of the Cort in 2005. 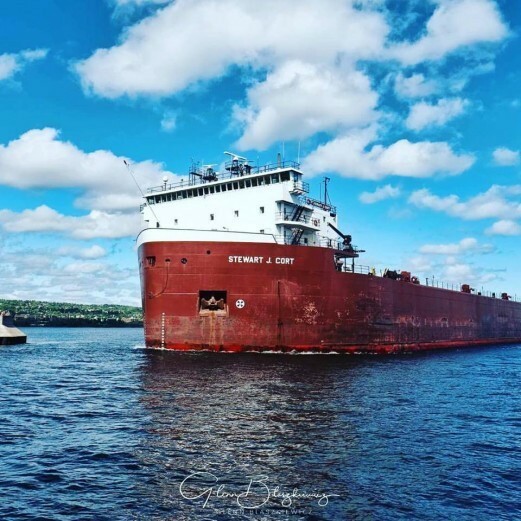 Before her mid-body was added, she was 182 feet long and 75 feet wide, which was the width necessary to pass through the St. Lawrence Seaway and Welland Canal Locks. She has a #1 painted on her aft house, a nod to her legacy of being the first thousand footer on the Lakes. 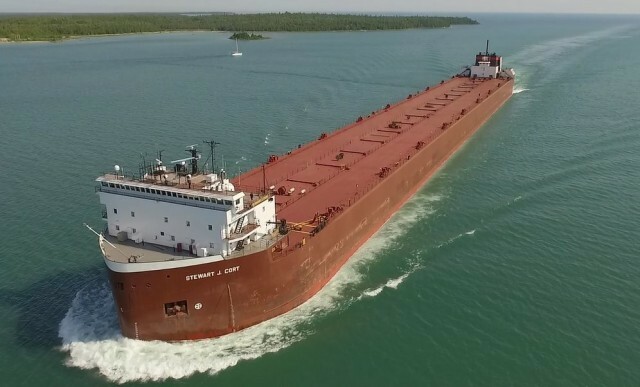 She has a regular route carrying iron ore between Superior, Wisconsin and Burns Harbor, Indiana.